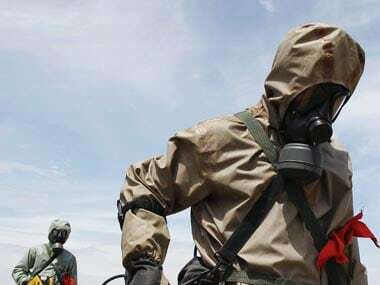 New Delhi: After gaining entry into two export control regimes — MTCR and Wassenaar, India on Friday joined the Australia Group (AG), which seeks to ensure that exports do not contribute to the development of chemical or biological weapons. "On 19 January 2018 India formally became the 43rd member of the Australia Group (AG), the cooperative and voluntary group of countries working to counter the spread of materials, equipment and technologies that could contribute to the development or acquisition of chemical and biological weapons (CBW) by states or terrorist groups," the AG said in a release. Reacting to India's entry to the group, Ministry of External Affairs spokesperson Raveesh Kumar said it would be "mutually beneficial and to help in non proliferation". He said the AG membership will help in establishing India's credentials further. India joined the Missile Technology Control Regime (MTCR) in 2016 and the Wassenaar Arrangement (WA) in 2017. The Wassenaar Arrangement on Export Controls for Conventional Arms and Dual-Use Goods and Technologies is a multilateral export control regime.